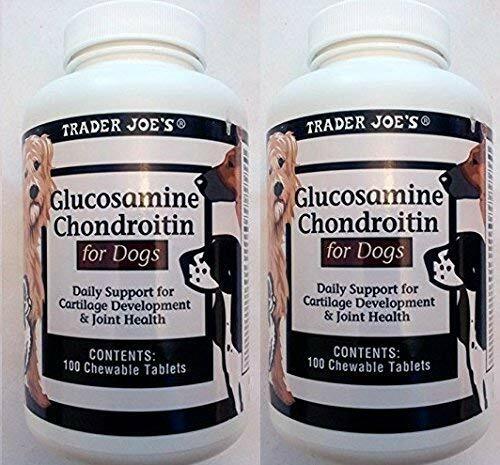 Trader Joe's Glucosamine Chondroitin liver flavor chewable tablets for dogs help maintain healthy bone, connective tissue, joint structure and function. Recommended dosage: 1/2 chewable tablet per 20 lbs of body weight twice daily. Allow 4-6 weeks for best results.